André Picard is one of Canada’s top health and public policy observers and commentators. 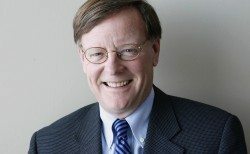 He is the health columnist at The Globe and Mail, where he has been a staff writer for more than 30 years. He is also the author of numerous books and has received much acclaim for his writing and for his dedication to improving healthcare. In 2010, he was awarded a National Newspaper Award as Canada’s top newspaper columnist. Where does our healthcare system stand? What are the challenges and opportunities to improve the coordination and effectiveness of services across the nation? How do we re-orient our attention and investments to build a true “health system” rather than the current illness-treatment system? What is the special role and opportunity for community-based agencies, including Community Health Centres? One of North America’s foremost thinkers shares his insights and vision. What can we do to raise awareness of these mental health issues and how can we create an environment for citizens suffering from these illnesses to feel safe enough to talk? This discussion will look at cross-disciplinary approaches to observe mental health and draw on best practices. In this customized presentation, André discusses the latest hot-button issues in healthcare. In this presentation, André discusses the key challenges facing healthcare communication. How can we effectively get the prevention message out? From Politicians down to frontline Healthcare workers, how do we make sure consistent information gets out? André will explore some tools and strategies to effectively communicate information to various audiences. With the legalization of cannabis, Canada has embarked on one of the world’s largest natural experiments. What will it mean to the health of Canadians? To the healthcare system? To employers? To the tax system? Just as importantly, what will happen to the medical cannabis regime – which has been in place for two decades – now that cannabis is widely available? So far, the predictions about the impact of cannabis have largely not proven true – usage is not up, tax dollars are not rolling in, and the black market is thriving, not dying. As an Award-Winning National Health Writer with the Globe and Mail, André has covered the evolving status of cannabis for many years. He helps organizations make sense of the regulatory challenges, shifting views about medicinal use, evolving research landscape, and the future of cannabis in the professional and personal lives of their community members. • How we can better educate, both the public on purchasing the products & patients about the drug as a treatment for conditions. • How cannabis use should be treated in professional environments & what obligations organizations have around employees who use cannabis medically. • The key ways policymakers can optimize the current system. André discusses all elements of elder abuse and includes reference to the Kerby Centre, Canada’s first shelter for battered seniors. André also offers customized presentations on elder care and more. View a full list of his presentations here. André brings fascinating insights and opinions to discussions around hot-button issues in healthcare. I commend you for never resorting to “cookie-cutter” speeches, always keeping things fresh, and always meaningful to the audience in question. We have received nothing but great feedback about your presentation, so thanks again for helping to make our little conference a success. Compelling, interesting and provocative. The audience was spellbound, and I am quite sure they will pass the word around that he is an excellent speaker.....and if they weren't already reading his articles, they will be now. He had the audience captivated from start to finish, it is obvious that not only is he knowledgeable but that he also loves what he does. Could you please pass on our gratitude to him and reiterate that we appreciate his time. Your role as emcee made the event among the most engaging, entertaining and kinetic in recent memory. André was terrific and extremely well received. Thank you. The fine quality of your speech reflects the time and hard work you put into developing it. André Picard is the health columnist at The Globe and Mail and the author of five books, including Matters of Life and Death: Public Health Issues in Canada, and The Path to Health Care Reform: Policies and Politics. He also has a large Twitter following at @picardonhealth. André has received much acclaim for his writing, including the Michener Award for Meritorious Public Service Journalism and the Centennial Prize of the Pan-American Health Association, awarded to the top health journalist in the Americas. He is also an eight-time finalist for the National Newspaper Awards – Canada’s version of the Pulitzer Prize. He is a seasoned communicator who employs a conversational style to reach his audience. He enlivens his research and commentary with personal stories to provide context for his audience, including anecdotes from patients and health professionals the front lines. André will enlighten and peak a sense of curiosity of audience members from all educational backgrounds. His work as one of North America’s top health journalists reflects his personality: Behind the placid exterior lies an inquisitive, perceptive and industrious scribe for whom the work only begins with the off­icial story. André is a graduate of the University of Ottawa and Carleton University, and has received honourary doctorates from six universities, including the University of Toronto, UBC and the University of Manitoba.